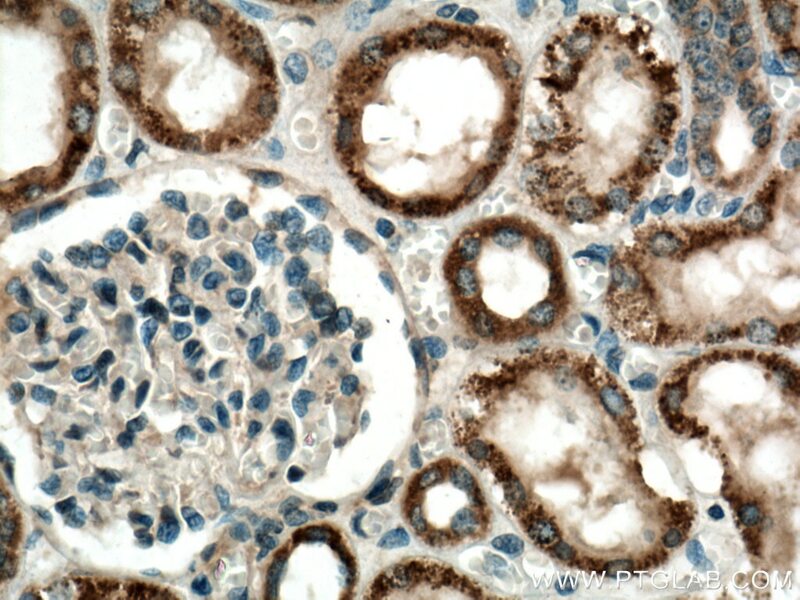 Immunohistochemical analysis of paraffin-embedded human kidney tissue slide using 17670-1-AP (JAK2 antibody) at dilution of 1:200 (under 10x lens) heat mediated antigen retrieved with Tris-EDTA buffer(pH9). 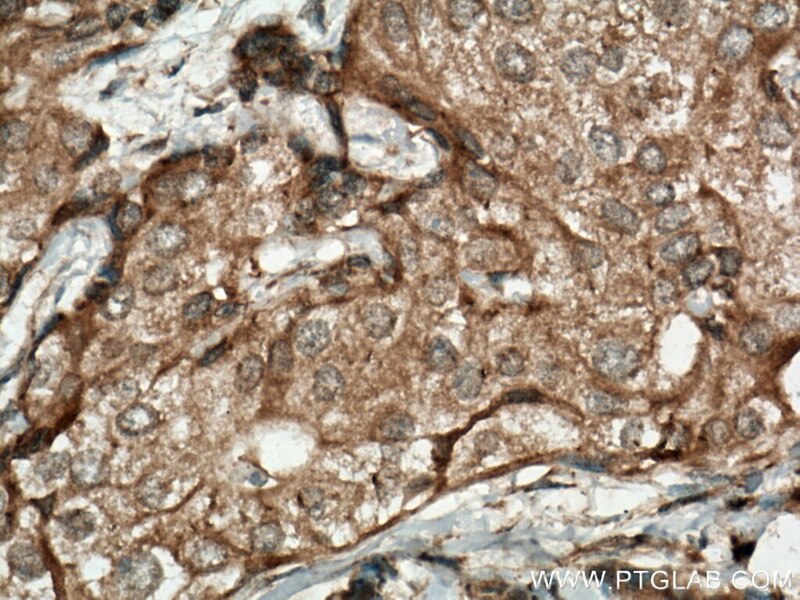 Immunohistochemical analysis of paraffin-embedded human kidney tissue slide using 17670-1-AP (JAK2 antibody) at dilution of 1:200 (under 40x lens) heat mediated antigen retrieved with Tris-EDTA buffer(pH9). 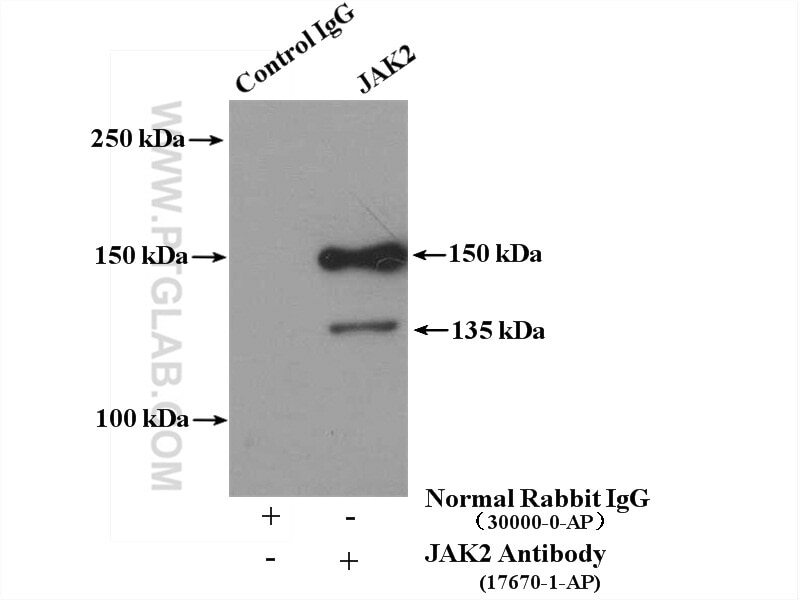 IP Result of anti-JAK2 (IP:17670-1-AP, 4ug; Detection:17670-1-AP 1:300) with Jurkat cells lysate 3800ug. CEP55 Promotes Cell Motility via JAK2⁻STAT3⁻MMPs Cascade in Hepatocellular Carcinoma. Inhibition of Connexin43 Hemichannels with Gap19 Protect-s Cerebral Ischemia/Reperfusion Injury via the JAK2/STAT3 Pathway in Mice. Paper-based microreactor array for rapid screening of cell signaling cascades. IL-6 promotes epithelial-to-mesenchymal transition of human peritoneal mesothelial cells possibly through JAK2/STAT3 signaling pathway. 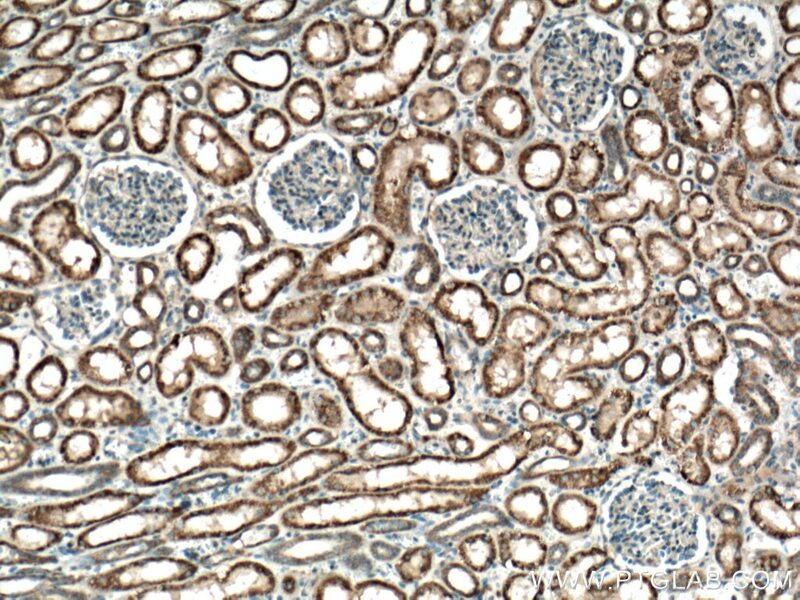 Immunohistochemical analysis of paraffin-embedded human breast cancer tissue slide using 17670-1-AP (JAK2 antibody) at dilution of 1:200 (under 10x lens) heat mediated antigen retrieved with Tris-EDTA buffer(pH9). 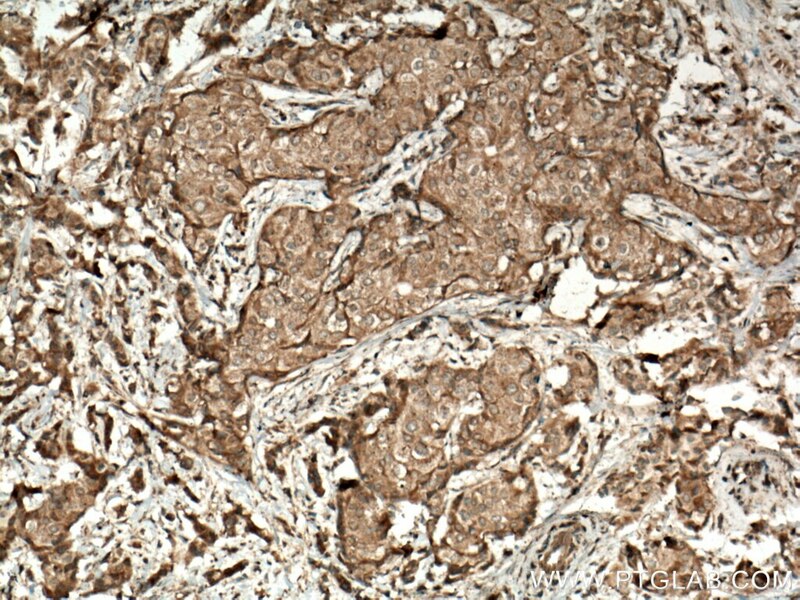 Immunohistochemical analysis of paraffin-embedded human breast cancer tissue slide using 17670-1-AP (JAK2 antibody) at dilution of 1:200 (under 40x lens) heat mediated antigen retrieved with Tris-EDTA buffer(pH9).